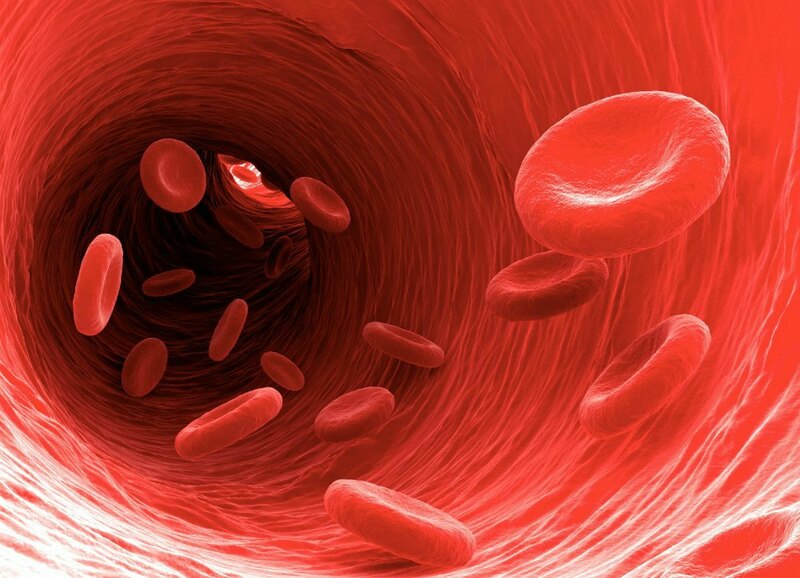 Healthy blood circulation is essential for a healthy body. It is through blood circulation that nutrients, minerals and oxygen get transferred to the entire body. 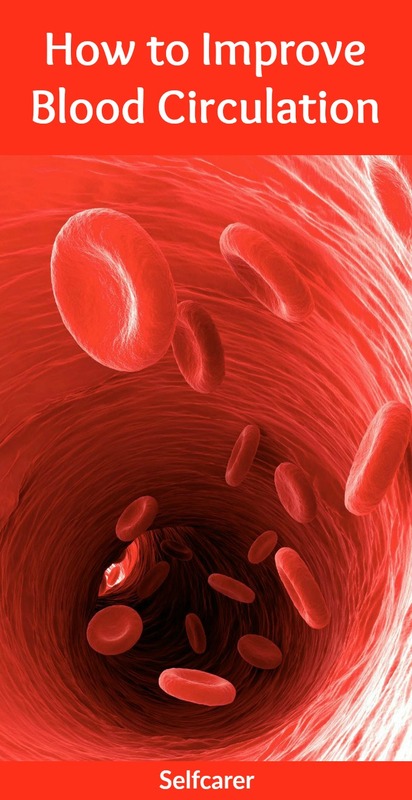 Poor blood circulation occurs when blood flow becomes restricted to certain parts of the body. Although it can affect any part of your body, including brain, heart, liver, kidneys and the limbs, people usually notice it at the toes or fingers. There are several things you can try to improve blood circulation. Smoking, excessive drinking, caffeine, a sedentary lifestyle, poor eating habits and long hours sitting at work can also contribute to poor blood circulation. Other causes of poor blood circulation include kidney and liver disease, lung disease and environmental factors. You can improve blood circulation throughout your body by eating a healthy diet and making lifestyle changes. Get into the habit of finding physical activities you enjoy doing. Any type of physical activity that gets your blood pumping is ideal for boosting your circulation. When you work out, try both cardiovascular training and strength training. Cardiovascular training: Aerobic activities such as swimming, biking, walking, and running will improve cardiovascular function. Going for walks after meals can help improve blood circulation and aid digestion. Walking at least 30 minutes each day is recommended. Strength training: Strength training (lifting weights) will help you build muscle, which in turn increases the effectiveness of cardiovascular and lymph circulation. If you are working in an office, or sitting in the same position for long periods at a time, taking a stretch break every hour can help increase blood flow. Whether it’s getting up to take a quick walk, or touching your toes with your hands, moving your body will encourage the blood to flow faster through the tissues, which will in turn help you to feel more energized and alive. Massage, like exercise, increases local circulation by stimulating blood flow in the soft tissue. It can also help clear out any toxins that may be lingering from having had insufficient blood flow to that area. Many studies point to the overall effectiveness of massage in stimulating healing. Ask your massage therapist about rosemary essential oil that may help improve blood circulation. If you can’t see a professional massage therapist, try doing it yourself. Massage areas of your body that are tight or tense. You can also try using a foam roller as a form of self-massage. Foam rolling has a lot of benefits and can help stimulate increased blood flow to the area being “massaged” with the foam roller. If you find that you have poor circulation to the extremities, try elevating your legs above the level of your heart. Elevating your legs is a great way to improve blood circulation and relax at the same time. Try putting your legs on a chair that is higher as the one you are sitting on. You can use a couple of pillows to make sure that your legs are high enough. Elevating your legs can also reduce the chance of varicose veins, which are caused by high blood pressure or simply standing for extended periods of time. Having a healthy diet is key to improving your blood flow. This is because, over time, a less healthy diet can contribute to clogged arteries and overall poor blood circulation. You can improve the health of your arteries and your blood flow by eating fruits, vegetables, whole grains, lean proteins, and healthy fats such as those found naturally in avocado, fish oil, olive oil, nuts and seeds. You can also eat spicy foods. They contain a chemical called capsaicin, which increases blood flow throughout the body. This is why many people become flushed when they eat spicy foods. In order to maintain a healthy blood circulation, try to avoid overly processed foods, foods with excessive sugar or salt, and foods with sugar and unhealthy fats (saturated and trans fats). Drink enough water during the day so that your organs don’t have to fight to produce energy and perform their daily functions. Consuming enough water is key to keeping your blood volume up, which in turn helps improve circulation. You don’t have to drink liters upon liters a day, but you should drink water when you’re thirsty. Most experts recommend 8-12 cups of water per day, and more if and when you are exercising (to compensate for lost fluid during exertion). Cut out sugary drinks from your diet. Sodas and overly sweet drinks do not improve your circulation and have especially deleterious health effects. Also avoid too much caffeine and alcohol, as they both contribute to dehydration. Hot water helps relax tense muscles, and increase blood circulation. This is because heat vasodilates your vessels (makes them open up more), which will allow for increased blood flow throughout your body. Fill the bathtub with steaming hot water, and check the water before attempting to get in. The water should be hot, but should not be too hot. Not only is smoking bad for your health, it also affects your circulation. It is among the leading causes of circulation problems. Smoking constricts your blood vessels and reduces blood flow, which is necessary to help nourish your muscles and organs. Quitting smoking will help increase the availability of oxygen and other important nutrients to the body. Therefore, if you want to improve your circulation, quitting smoking is an important step to take. Over time, stress can have negative effects on the body’s blood circulation. Find healthy ways to deal with stress, such as meditation techniques, regular exercise, and psychotherapy. If your circulation problems are caused by a medical problem such as peripheral artery disease, your doctor can prescribe a variety of medications that help with the overall health of your arteries. There are even specialty drugs such as Cilostazol (Pletal) that function specifically to increase blood flow to the limbs. Your doctor may also be able to prescribe or point you in the direction of certain supplements that, in healthy doses, may improve blood circulation. One study suggests that a combination supplement of green tea, astralagus, goji berry extracts, Lactobacillus fermentum, antioxidant ellagic acid, and other vitamins, available OTC, helps increase overall levels of hematopoietic stem cells.